Australia has many striking pigeons and this is one of the prettiest. 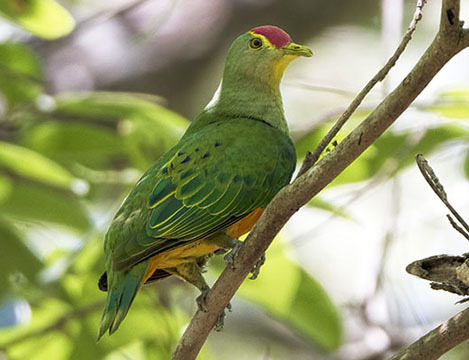 Rose-crowned fruit-doves, like their relative the superb fruit-dove, are rainforest birds of the eastern and northern coastal areas (sometimes also found in mangroves). They are small and often hard to see despite the bright colors and are often located by their loud calls. 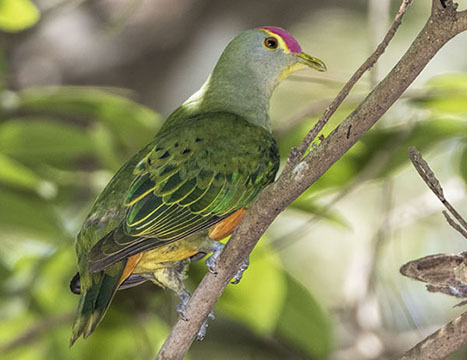 This bird was at Fogg Dam, near Darwin in the Northern Territory.